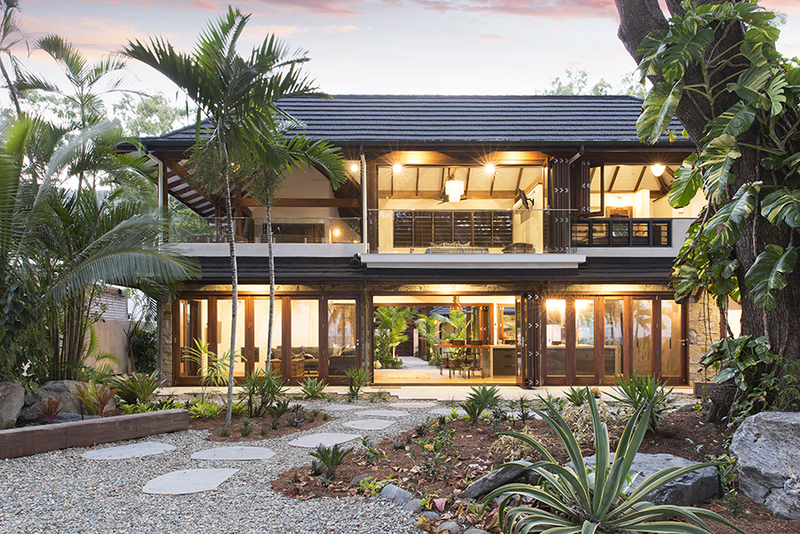 A magnificent award-winning tropical abode in Port Douglas boasts regal overtures of an exotic culture. Spice is a home with soul. 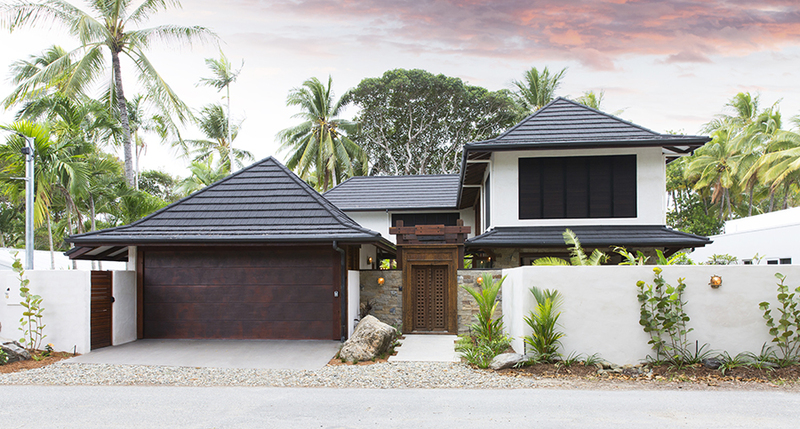 Created with persistence and a whole lot of passion by its owners, Bruce and Rachael Jackson, this stunning home in Tropical North Queensland blends ethnicity with the strong foundations and innovative technology required for a house so close to the sea. 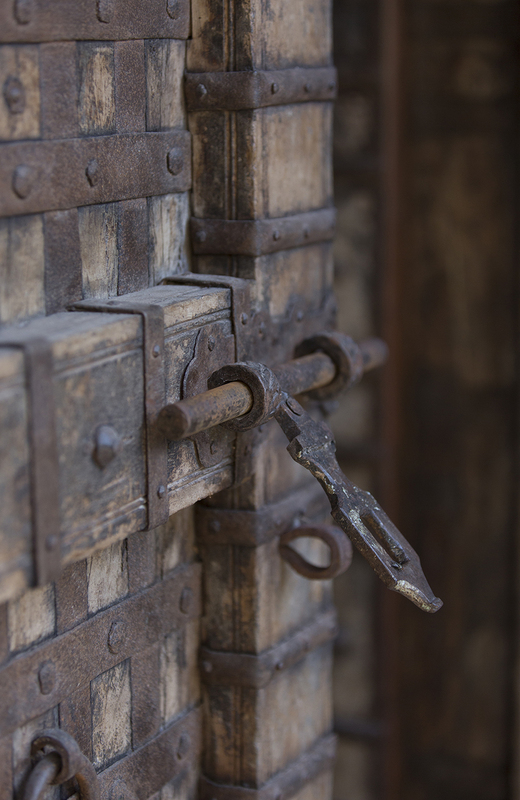 Bruce and Rachael sought out many of the furnishings and fittings in Jodhpur while in India collecting craftwork for their business, Love Generation. 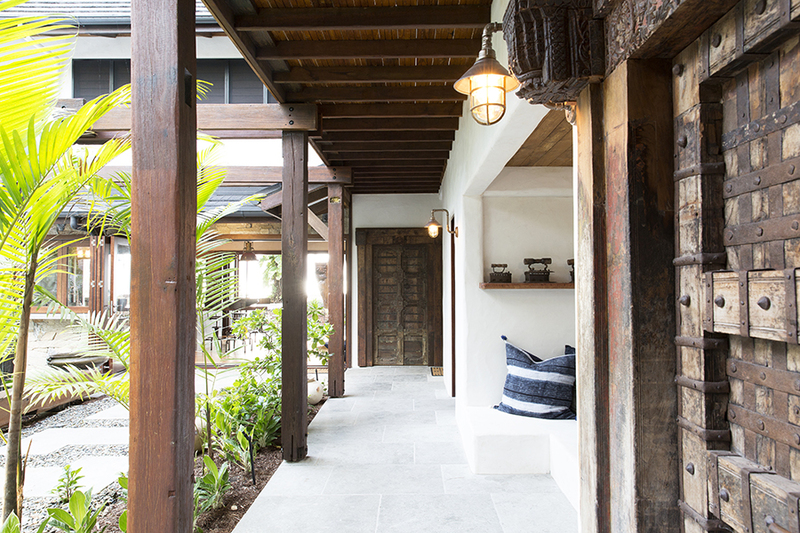 With their collection complete and shipped back to Australia, the couple set about choosing architectural and statement pieces for their spectacular beachfront home, including a magnificent selection of brass lights and lanterns, some weighing up to 20kg, removed from grand old ships laid to rest in the ‘killing yards’ of Bangladesh. 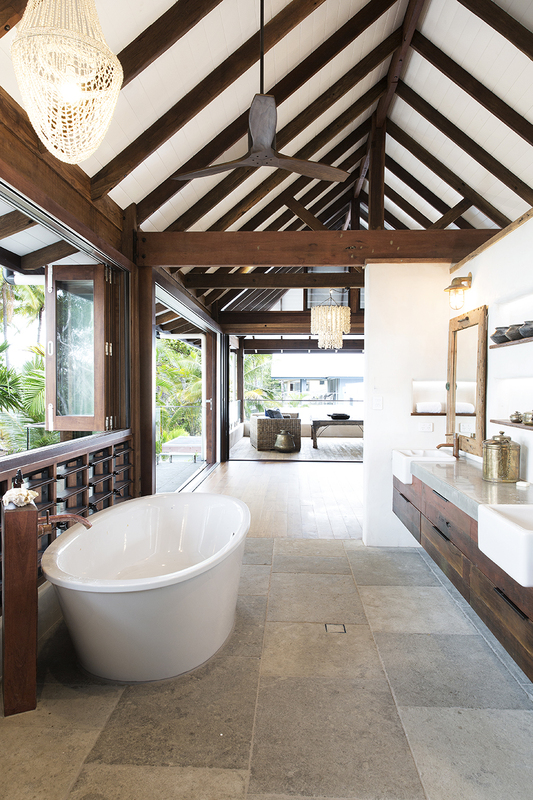 With the carved doors, brass lights and a huge marble fountain from old India, as well as re-brushed and oiled recycled timbers, roof tiles from New Zealand and 130m2 of stonework, Spice boasts a radical palate of materials. 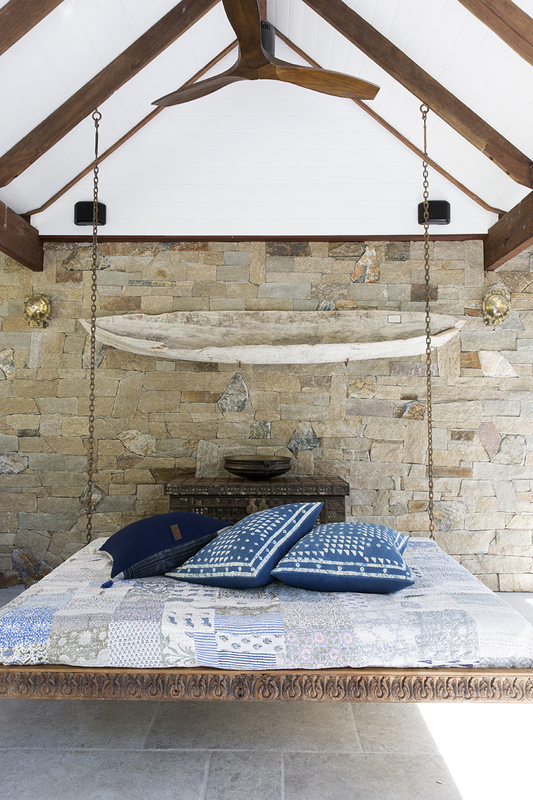 All of the soft furnishings in the home, including quilts and cushions, are also from the Love Generation homeware range. 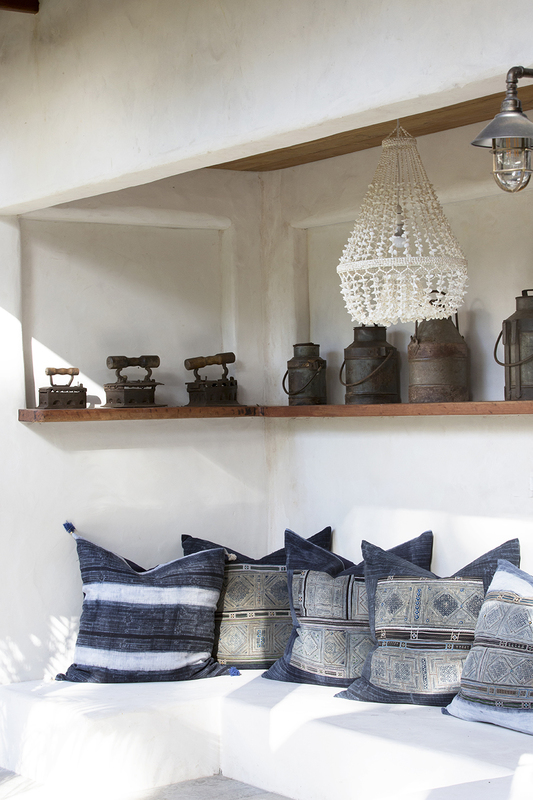 Spice’s captivating, easy-living, original design is by Vandyke Designs, now known as Bálay Vandyke. 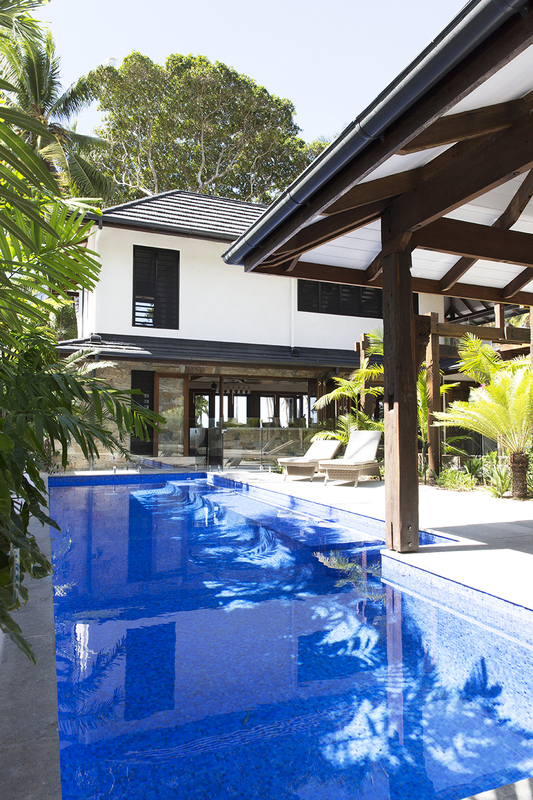 Chris Vandyke is the mastermind of many of the most prestigious homes in Tropical North Queensland. A former prawning skipper who understands the winds and the tides, his expertise ensures Spice is a practical breeze catching beauty. 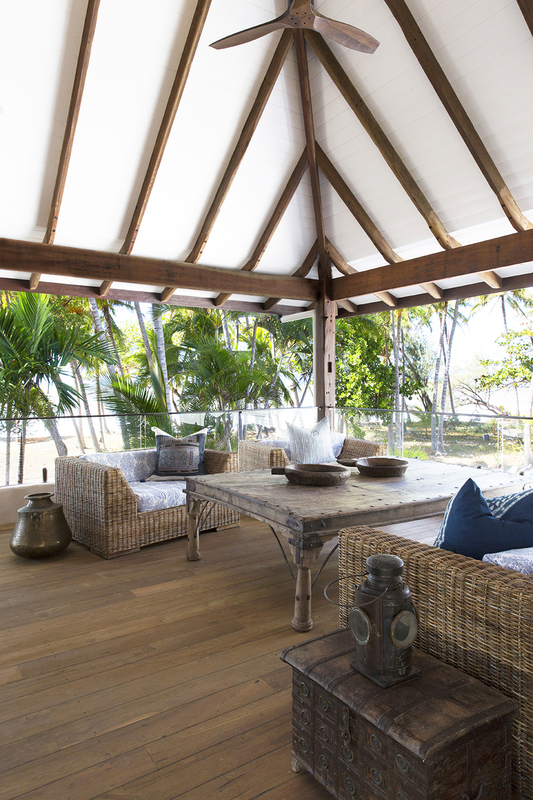 The large L-shaped, two-storey home almost touches the sands of Oak Beach and boasts four bedrooms and three bathrooms, pool and an entertaining area, overhung with a traditional Papua New Guinea canoe rescued from Cape York. 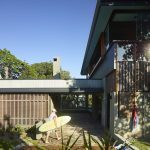 The exterior areas incorporate randomly shaped bluestone, the recycled timber arbour leading from the stonework entrance and integrating the pool area and the main house. 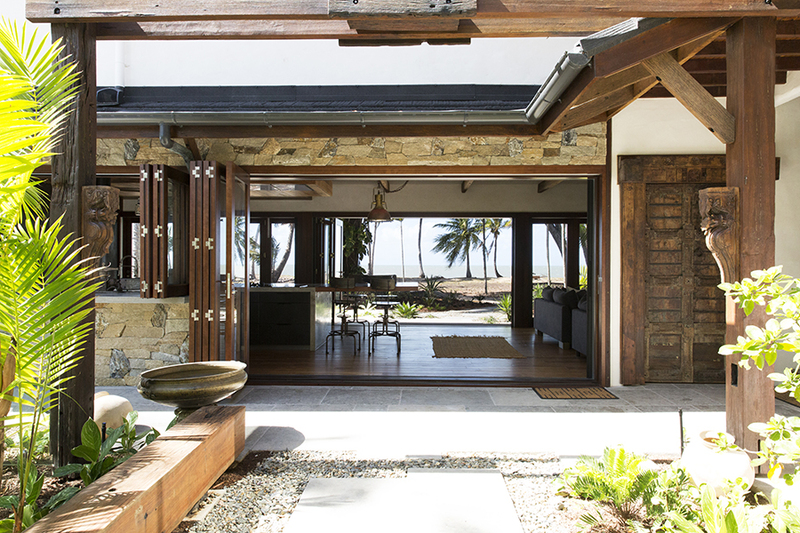 This extensive use of maple for bifold doors is a major design feature, giving Spice an open to the sand, sea and sky extravaganza. 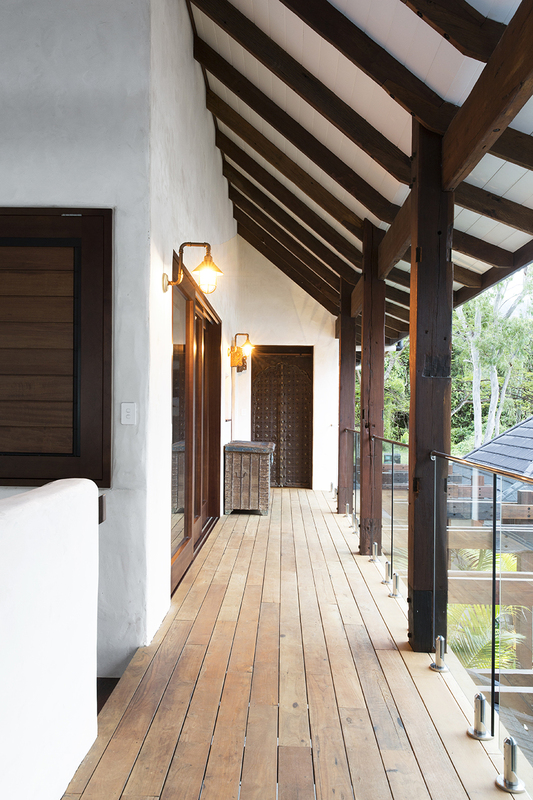 The doors operate on a centor running system with integrated flyscreen rollers. In this high category wind area, the doors are 55mm thick. 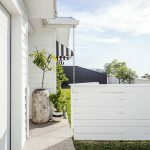 A tropical winner where breezes need to circulate for natural airflow is a Queensland maple 2m x 1.4m louvered wall window which opens with struts. 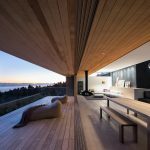 It’s a unique addition to the upstairs room which doubles as a study and fourth bedroom. 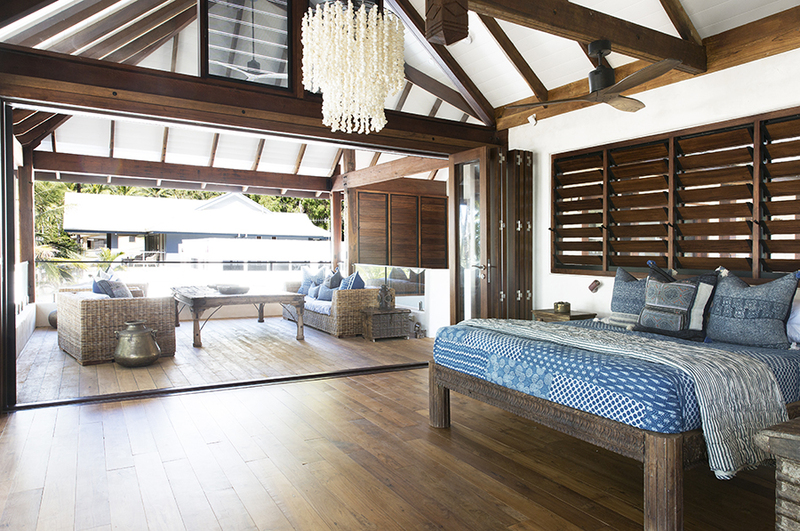 Bifold doors also open from the master bedroom to an intimate relaxation space which along with its lengthwise patio overlooking the beach, extends the bedroom for an indoor-outdoor feel. 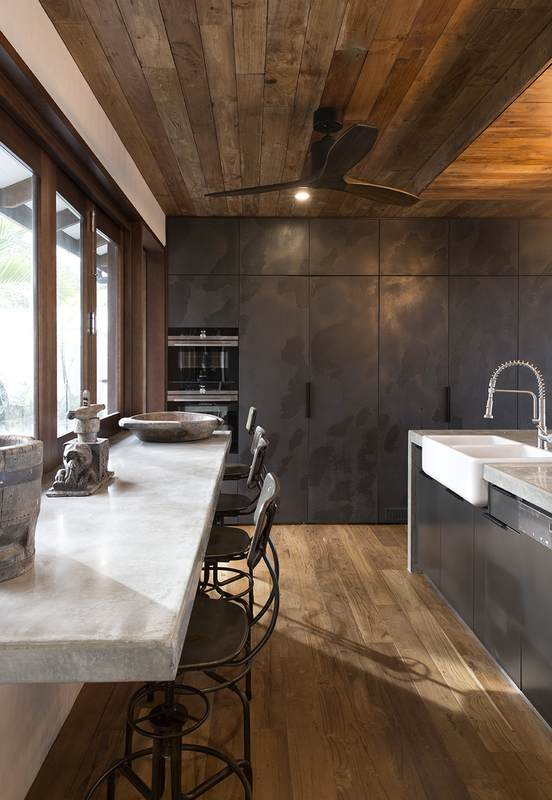 The open plan kitchen and living area with concealed butler’s kitchen features a 1.5m x 3.6m concrete benchtop, with waterfall ends, formed in position. 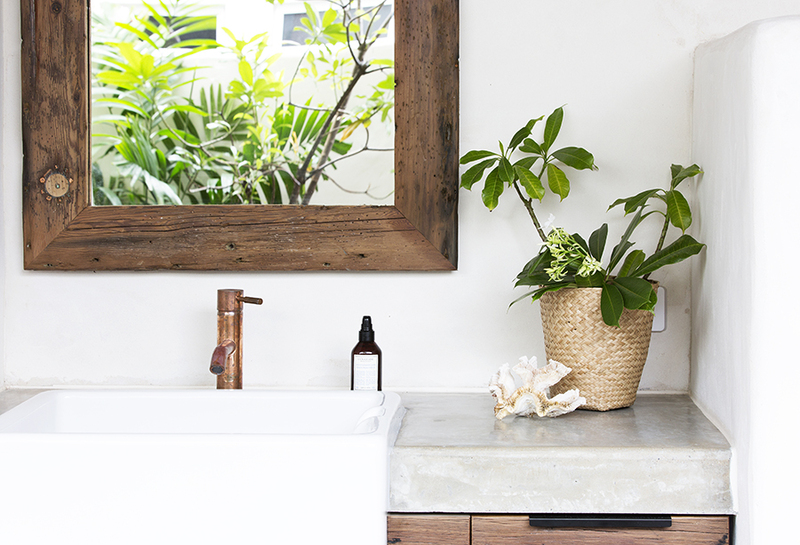 It’s raw concrete with a burnished finish, both practical and effective. 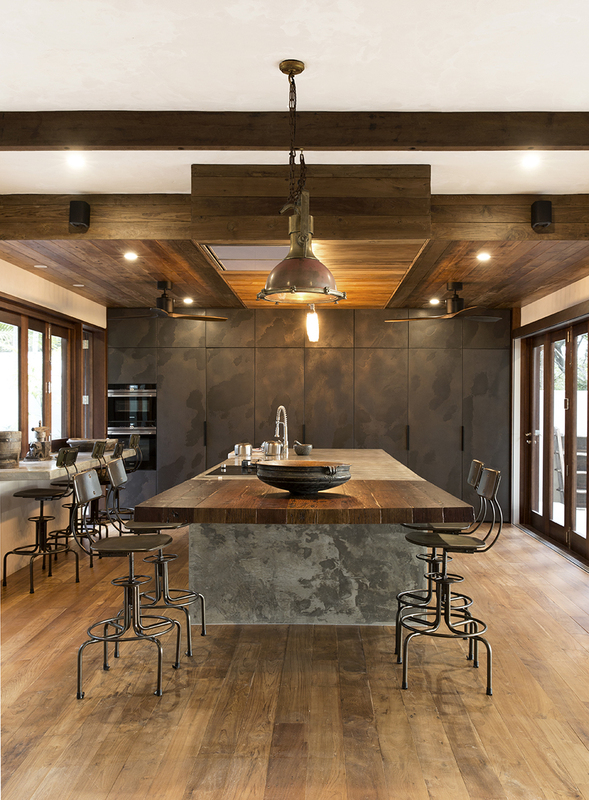 Recycled timber left over from other areas is again recycled for kitchen cupboards, while the freestanding wooden kitchen table, reinforced with steel, is offset by an overhanging brass light salvaged from Bangladesh. 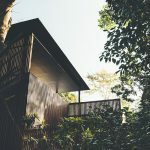 The home’s innovative technology makes it practical and environmentally friendly in its beachfront position, just south of Port Douglas where sewerage and town-water are not connected. 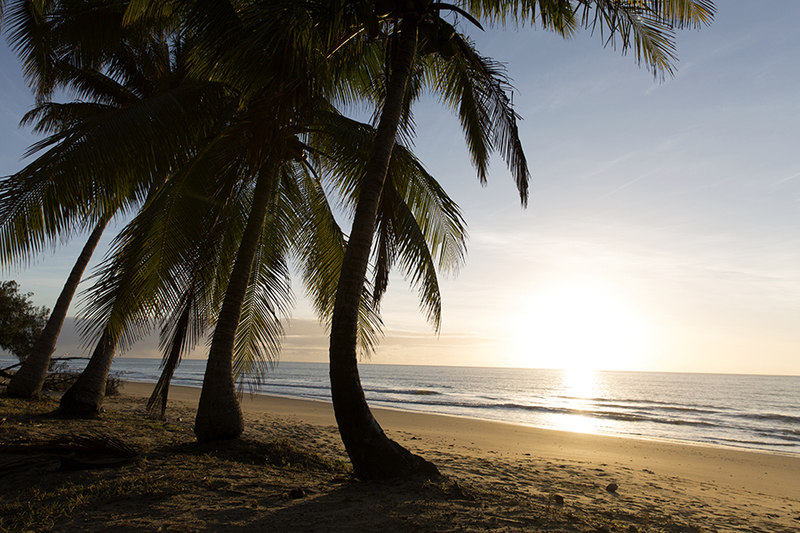 Here beside the Great Barrier Reef, local government environmental standards are strict. 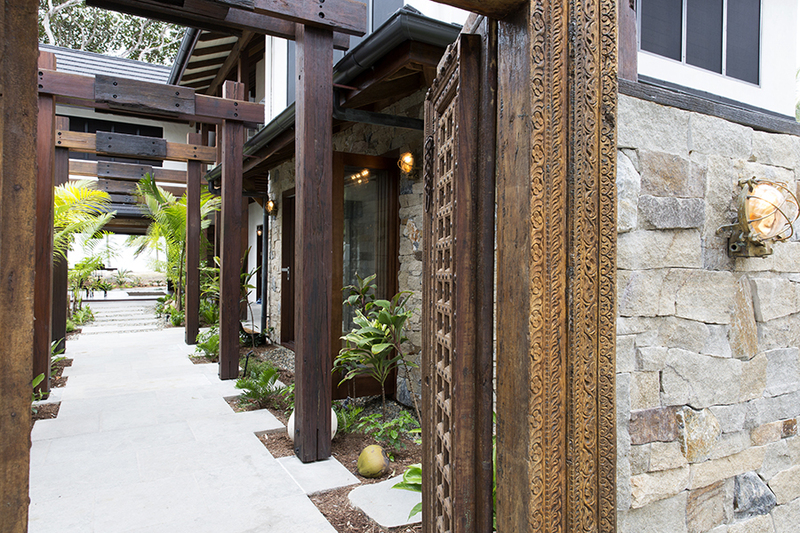 Spice’s design team incorporated an Advanced Environmental System which is cleverly positioned underground and out of sight in the courtyard. Water collected from the roof is separated into drinking and garden needs and stored in a large tank beneath the garage.